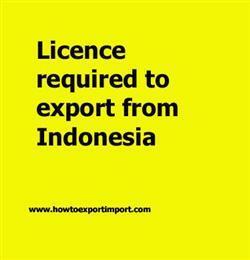 How to get export licence in Indonesia? What are the procedures for registration as an exporter in Indonesia? How to start an export business in Indonesia? What are the certification formalities to export to Indonesia? This post explains about export registration procedures to be obtained from Indonesia government authority to export from Indonesia. The legal entities having NPWP (Taxpayer Identification Number) with any of the necessary trade or business license such as Trading Business License (SIUP) from the Department of Commerce, Industrial License from Department of Industry, Domestic Investment Business License (PMDN) or Foreign Investment (PMA) issued by the Investment Coordinating Board (BKPM) and having Export Identity Number (APE), can apply for export. The details given here explain about export registration procedures to be obtained from Indonesia government authority to export from Indonesia. Export registration procedures required in BALIKPAPAN. Export Licence process in BANJARMASIN. Process to export to BATU AMPAR. Requirements of registration to export to BELAWAN. Registration requirements in BENGKULU to export. Registration needed to export to CIREBON. How can I register to export in DILI. What Licence requited to export in DUMAN. What should I do to export goods in JAKARTA. How to get export licence in JAMBI. Procedure to get registration to export in KABIL. Mandatory process need to complete export in MEDAN. First permission required to export in KUPANG. How can I start export business MUKA KUNING?. How to begin export trade in PADANG? Permission to initiate to export in PALEMBANG. The way to get registration to export in PANJANG.